We have been hearing about Nokia's C-Series for quite some time now. It was first heard of back in July when Nokia was caught trying to patent its X and C-Series brands. While we are aware of what the X-Series would be like, little was known about the C-Series. On February 3, a leaked image of what is thought to be one of the first C-Series devices to be launched by Nokia started doing the rounds of the Interweb. The phone in the pictures is known as the C5. The C5 looks like a very compact candy bar phone running Series 60. What is confusing is the need fro the C-Series naming scheme. We wonder what the C-Series stands for. The E-Series and the N-Series for example stand for "Enterprise" and "Entertainment" respectively (The "En" from Entertainment was replaced by an "N" in case of the latter). From what we have seen from the leaked photos, the phone seems to be very compact. So, is the C-Series a new line-up of compact devices? Well, we're just guessing! As for the C5, the phone seems to be decently spec-ed. 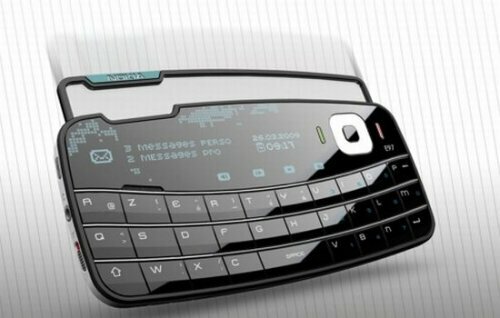 It features a not so large 2.2 -inch QVGA display, a 3.2 megapixel camera (more than enough, if it's a good one! ), HSPA and FM Radio. Also included are a 3.5mm jack and support for microSD cards to increase the 50MB internal memory. This one might just be released in the months to come. Nokia has scheduled its own press event as an alternative to the Mobile World Congress at Barcelona in which is it not participating. Hopefully, the C-Series would be officially announced there. what is the exact model no. of dis phone...? can you please tell which model of nokia had u shown in the pic?